Incredible News: Brad Bird Currently Writing Incredibles 2 Script! The best superhero movie ever made, The Incredibles, is getting a long-awaited sequel. And count your blessings — it's getting made by the original Incredibles director, Brad Bird. In an interview with NPR Bird confirmed that he was currently in the script writing process for the sequel. He added: "I’m just staring to write it, so we’ll see what happens." 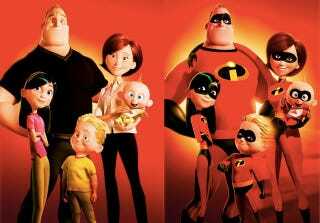 Folks at Pixar have been talking about Incredibles 2 for some time now, and it's no wonder — since the original was fantastic. However, we were under the impression the sequel was much further along than in the process than, "just starting to write." But we'd prefer Pixar take their time and continue to produce a high quality sequel, rather than rush out with some horrific direct-to-DVD creation.